As you may be aware, the iGaming business has continued to grow at an astronomical rate in recent years. Mobile devices and offerings are becoming more sophisticated, Virtual Reality (VR) is going mainstream, and players are only getting more enthusiastic. Plus, there’s some potential for U.S. markets to open up lucrative new opportunities as multiple states mull shifting gambling legislation; one report suggested that the single state of Pennsylvania could bring in more than $400 million in six years via online gaming! It’s a massive business, and one that still has vast potential to expand and improve. 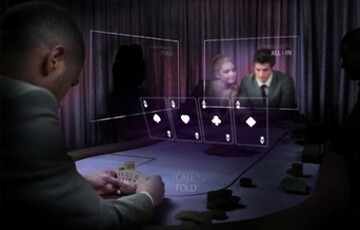 To that point, we wrote last September about how the IoT will affect the world of iGaming. For the most part, this discussion boiled down to the use of VR in iGaming platforms. To summarize briefly, VR will enable gamers to explore virtual casino environments as if they’re real, stopping at different games, interacting with dealers, etc. And the IoT can help the actual companies behind the virtual casinos to measure what experiences are most engaging, how to keep gamers interested, etc. Smart watches can even be integrated to measure excitement (via heart rate) so that games can adjust to keep gamers thrilled. There’s a lot that can happen. Another component to this, however, may be improving Artificial Intelligence (AI) as it relates to iGaming. The IoT as described in our previous piece is essentially about flow and engagement. Game providers can learn to use it to direct players around virtual casinos and keep them busy and entertained (and spending). AI, however, has the potential to keep them competitive. Once upon a time, AI in iGaming was a fairly basic concept, more about simulation than actual competition. That appears to be changing rapidly, however. Early in 2017, news surfaced for the first time of professional poker players being dominated by artificial intelligence. Specifically, a program called Libratus has emerged from Carnegie Mellon University and shown a clear ability to out-play even the most talented human opponents. This is not something that can be immediately or easily replicated. Libratus is very sophisticated (and presumably very expensive). That said, the mere knowledge that we can design AI that can conquer expert poker players means that game providers may soon have new ways of scaling difficulty. Combining this with the ideas of IoT integration, you begin to see a picture in which game providers will be able to adjust difficulties in real time so as to keep players engaged and competitive. Think about it this way: if you win a game of poker, then play again and just barely lose, you’ll probably be inclined to try again, because you know you can do it! It’s just one more way in which this form of gaming stands to become even more sophisticated in the coming years.